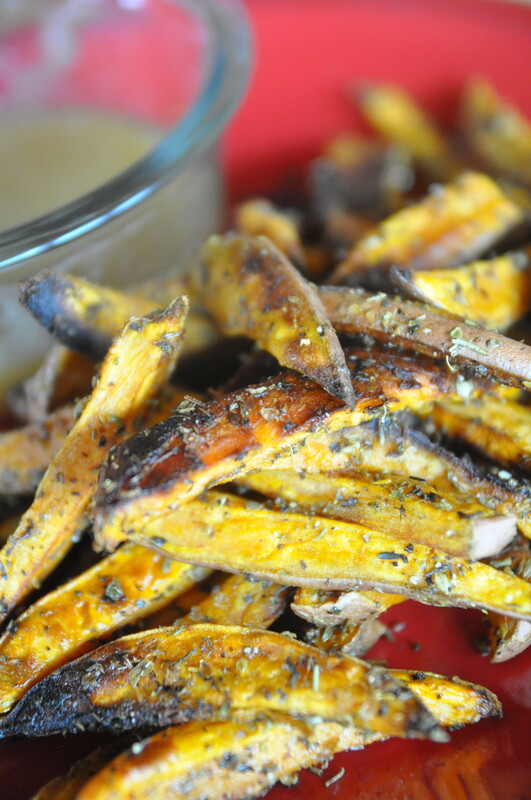 Sweet Potato Fries are great for a snack, appetizer, or side dish. 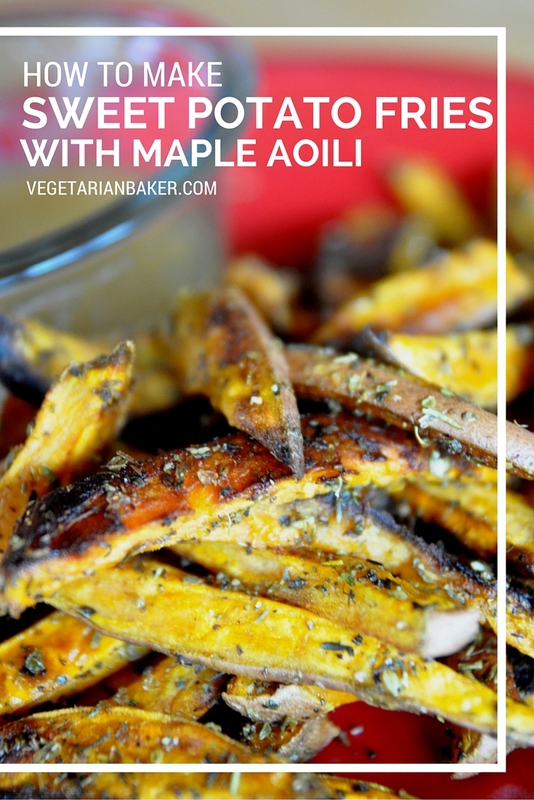 The Maple Aioli is a great addition to this recipe. Cut sweet potatoes into fries. Try to get them as uniform as possible to ensure even baking. Place the cut potatoes into a bowl with the olive oil, Italian seasoning, salt, and pepper. Make sure to coat the fries evenly. Place the seasoned fries onto a foiled sheet tray and place into the oven for 20 minutes. After 10 minutes, give the fries a good flip. After cooking, remove from oven and allow to cool. Place all ingredients into a bowl and whisk until smooth. Store in the fridge until you are ready to serve with fries.